More often than not, projectors are the products of choice when it comes to office presentations, school work, and the like. And with that, it really hasn’t been the go-to device for users that want a home entertainment center as the consumers prefer HDTVs for the well-off experience. However, BenQ’s latest lineup wants to change your mind as the company unleashes the W1110, W2000, and the W3000! First off, the W1110 comes with sharp and crystal clear picture quality for that topnotch movie theater experience. On the other hand, the W2000 and the W3000 brings the higher level of cinema experience all thanks to the company’s Rec. 709 standard. These projectors feature 1080p Full HD optimized optical system to deliver true cinematic colors with beautiful picture clarity and reach detail. They are also loaded with features that include lens shift, side projector, short-throw technology, and a whole lot more to amp up your viewing experience. The W110 and the W2000 want to complement your living room through their modern design - white and gold color scheme are simply to behold on that clean setup, while an enhanced airflow and fan architecture will set its acoustics on the downlow. Now, if you want to get that Hollywood experience, these projectors feature the company’s CinemaMaster technology. The W3000 comes with a Video Enhancer that enhances the colors, pixels, and motion to produce the best viewing pleasures. 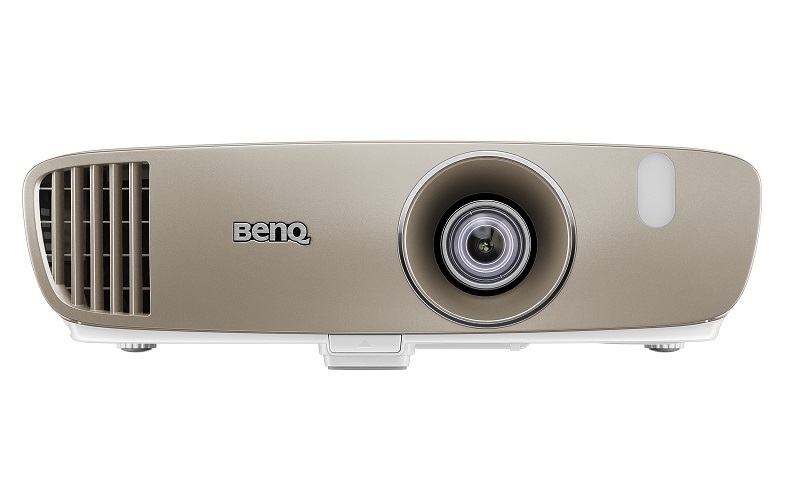 BenQ’s CinemaMaster Audio Enhancer by MaxxAudio also graces the projectors to pump out dramatically rich audio with excellent bass and treble. BenQ’s latest lineup will be available with a starting price of $800, or around PHP 40,000 when converted to the national currency. If you want to watch those blockbusters, these will be the way to go!